We have heard plenty about the methods (money) that families will go through to get their children into various schools. 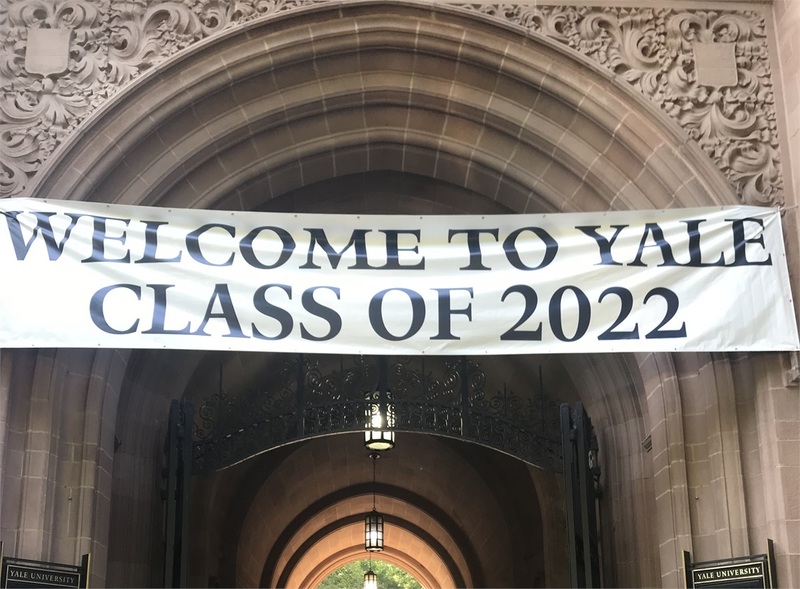 I have been taking particular interest as my son applied last year to some of the schools and ultimately decided to attend Yale. The alleged ringleader of the scandal said most students get accepted through the “front door” like my son by having the grades and activities to achieve acceptance. My son was admitted to Yale through hard work and success academically, athletically, and through leadership in extracurricular activities. He had a drive to attend an elite school and worked hard to make himself stand out in a crowded field of great students across the nation. However, he did get his fair share of rejection letters from some schools. There really isn’t a sure thing in the college admissions process (unless you want to try the “side door” as those family involved in the scandal tried to do). Here are some tips that our family learned as we went through the college admissions process. I would encourage families to be very open-minded when searching for colleges. The best fit for a student may be in their backyard or it may be 1,500 miles away. You really don’t know your choices until you start to look. The important thing is to have realistic options. Make a list of 3-5 schools that may have a fit for your student. Don’t just choose one school that has a selective admissions process with a hope that you may get in. Your student may have everything going for them, but colleges can be very picky on selecting their students or granting scholarships with no reason given if you were not accepted. So, if your student really only has one choice it can make life very stressful if they didn’t get into that school. We learned it will require a lot of work over Christmas break writing more admission essays. Start the process early. Class rank, ACT scores, leadership activities, and overall life experiences come into play when filling out admission and scholarship forms. Use your student’s Junior and even their Sophomore year to start touring schools especially those that are some distance away. Make a family vacation out of it and meet with the admissions and the financial office on your trip. Reach out to alumni of various colleges that you are thinking about. They love talking about their college days and the process they went through. By starting early, you can also think about what you want to highlight on your admission essays. Make sure a school fits academically, financially and socially. My son really enjoys the mountains of Colorado. However, he decided that attending school in that state would not fit his overall education goals (even though he would love the geography). Parents should be very honest about how much money they will be able to contribute to a student’s education. The gap will have to be made up in scholarships and student loans which will fall back on the parents. If a student is evaluating Nebraska schools, Education Quest is a great resource for scholarships. Also, most colleges have a cost estimator that a family can fill out to get an idea of a school will cost given their financial situation. We were pleasantly surprised by the affordability of various private schools that we looked at. Lastly, it has to “feel” right for the student. They will be spending four or more years there so you want them to be happy with their choice. Finally when you have options, lay out the advantages and disadvantages of each school next to each other. Discuss what really matter, what it will cost and what type of job you will be able to get with a degree from that college. We always told our son that it is up to him to define his college experience. He would have the ability to do great things, meet interesting people, and ultimately find a job wherever he goes. The choice of college shouldn’t be the only factor. Good luck and if you have any questions let me know.